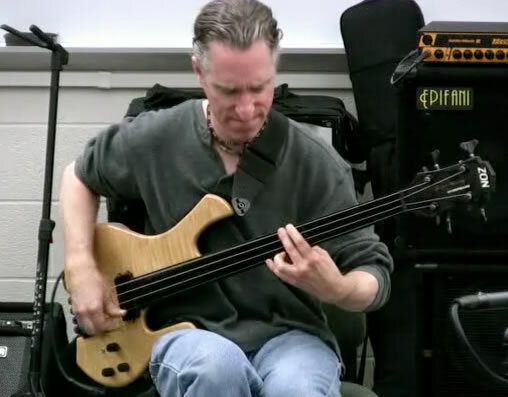 This is a video of the Manring Master Class from the New Hampshire Bass Fest '07. Michael performs several songs including Helios and The Enormous Room. Manring also explains his musical philosophies in depth and talks about how he aproches the bass guitar.